Do you want to be prepared for any occasion? Is your card stash getting low? Would you like to learn and use a variety of resist techniques? Be ready for any occasion with these delightful cards. 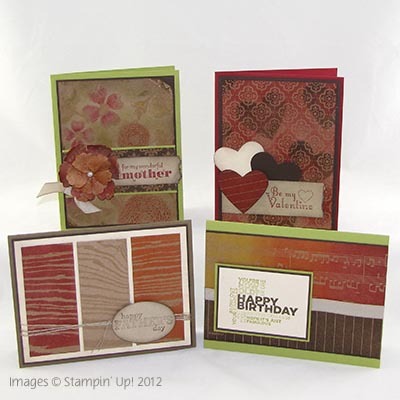 From simple, masculine designs to over-the-top vintage, feminine style, you’ll have the perfect card in your stash. Discover the magic you can reveal with the Natural Composition Specialty Designer Series Paper and a variety of resist techniques. You’ll love making these cards now and re-creating them again and again for dozens of occasions. A downloadable PDF with complete instructions and full color pictures to complete the 4 cards shown above. A Two Minute quick tip video bonus tutorial. A Resist Techniques Tutorial to download for your techniques binder.